If you're both dairy-free and gluten-free, a pumpkin pie might seem like a faraway dream, but it doesn't have to be. 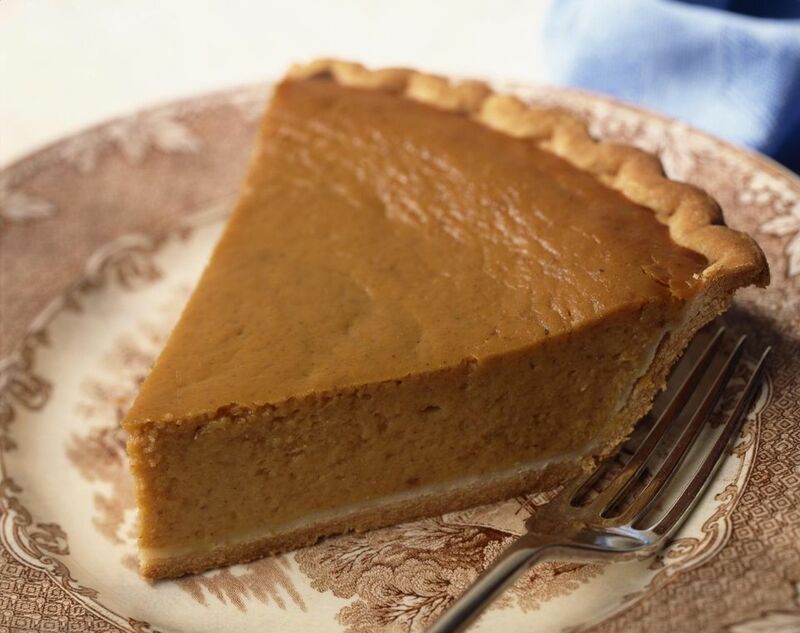 This recipe uses a gluten-free crust and coconut milk-based pumpkin pie filling that will blow you away with how close the taste and texture is to the real thing. Undoubtedly, the most difficult part of this recipe is the dough. As with any recipe that is intended for persons with allergies, make sure to read all of your ingredient labels thoroughly to ensure that there are no dairy-derived ingredients or ingredients unsafe for persons on a gluten-free diet. Prepare the crust. In a medium-sized mixing bowl, combine the flour mix, powdered sugar, and salt until well mixed. Using a pastry cutter or your hands, cut in the dairy-free, gluten-free margarine until the mixture resembles a coarse meal. Create a well in the center of the ingredients and add the egg and water, mixing until the dough comes together to form a soft dough. Press the dough into a disk, wrap it in plastic wrap and refrigerate for 1 hour. Unwrap the pie dough and place between two pieces of lightly floured (with gluten-free flour) parchment paper. Roll out the dough between the two sheets of parchment and carefully transfer to the prepared pie plate. Make a crust with your fingers and smooth out any breaks or cracks. (Gluten-free pie crusts crumble considerably more than traditional flour ones.) Place the pie plate in the refrigerator while preparing the filling. Prepare the filling. In a medium-sized mixing bowl using an electric hand mixer or a standing mixer, mix the pumpkin, eggs, coconut milk, maple syrup, ground cinnamon, ground ginger, ground cloves, and salt until smooth and well combined. Pour the mixture into the prepared crust and sprinkle lightly with granulated sugar. Bake for 10 minutes, then turn down the oven to 350 F and bake for 35-40 minutes more or until a skin forms on top of the pumpkin and the crust is just lightly golden (gluten-free crusts do not brown quite like wheat-based ones.) Transfer the pie to a wire cooling rack to cool completely, then place in the refrigerator to chill completely. Serve cold with vegan whipped cream if desired. There is a benefit to allowing the pies to refrigerate for a day to soften the crust a bit and keep it from being too tough or crispy (gluten-free crusts are not as flaky as wheat-based ones). So, feel free to make this pie the day before you intend to serve it!